As you can see from the details below, this giveaway is now over and we have a winner! But, you can join our email update list to be informed of other giveaways that we’ll do in the future. Just enter your name and email below and we’ll keep you informed about all things Little Pampered Dog related as well as send you special announcements of future fun giveaways that you are your dog are sure to enjoy. Have an idea for a giveaway? Great! Contact me and tell me all about it. RescueMen has been kind enough to offer a calendar for a giveaway for the Little Pampered Dog community. You can enter to win the calendar below. The contest runs between Friday, December 2, 2016 at 9:00am through Tuesday, December 6, 2016 at 9:00am (Eastern Time). 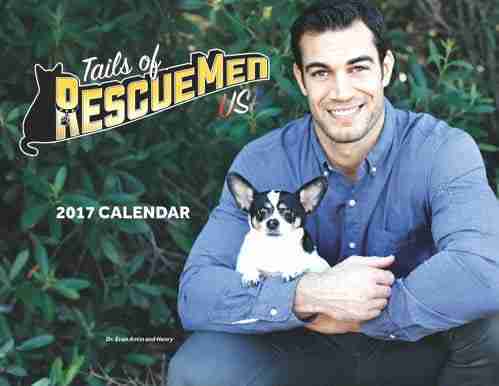 I hope you win but if you don’t you can always go to the RescueMen website to make a donation and receive a calendar of your very own! The calendar makes a great gift!